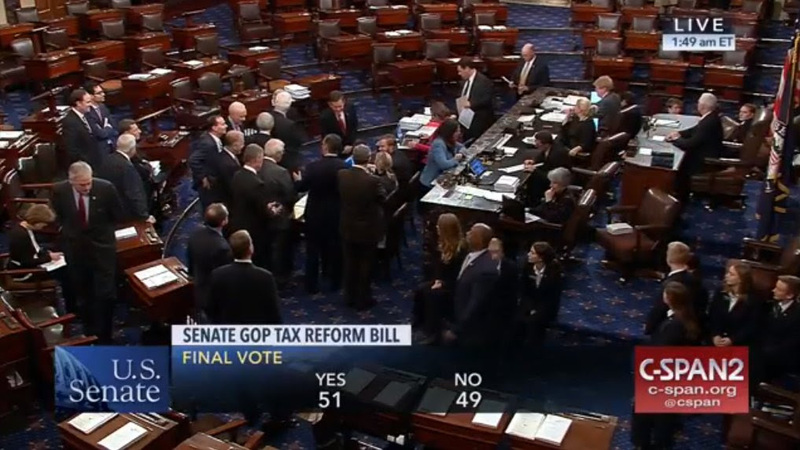 Early Saturday morning, the U.S. Senate passed a tax reform bill along an almost exclusively party-line vote of 51-49 with all Republicans voting yes, except for Senator Bob Corker (R-TN), who opposed it for the $1.5 trillion in debt that would be created. 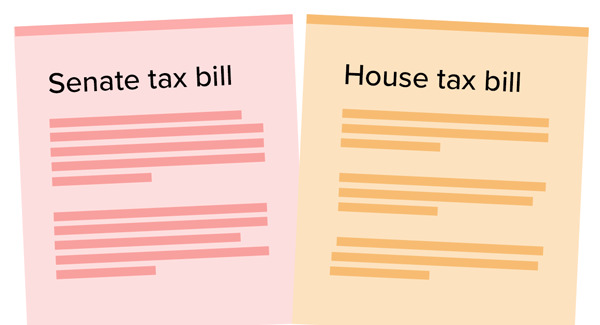 In a rush to pass far-reaching tax reform before year-end, both the House and Senate have passed separate but similar tax bills. Unfortunately, both versions of the tax bill would have a very negative impact on charitable giving. The bill now moves into a joint conference committee to negotiate a final, unified bill that can be signed into law by the President. It is anticipated that the ability to include any new provisions at this point will be severely limited, if not impossible. What is the Status on Charitable Giving? Because both the House and Senate tax bills propose doubling the standard deduction, access to specific incentives for income tax deductions of gifts to charity become severely limited to only the top five percent of taxpayers who itemize their deductions. Americans for the Arts and the charitable sector had actively supported the idea of a Universal Charitable Deduction so that the incentive to give to charities would be available to both itemizers and non-itemizers. However, Universal Charitable Deduction proposals offered by Rep. Mark Walker (R-NC) and James Lankford (R-OK) never made it into the final bill nor were given an opportunity for a floor vote. Unfortunately, the nonpartisan Tax Policy Center estimates that charities, including nonprofit arts organizations, could see a staggering loss of up to $20 billion annually as a result of this tax policy change. 31 million taxpayers who currently claim the charitable deduction will lose it. Charitable contributions will decline by up to $20 billion per year. What Do the Bills Mean for the Arts? We are still reading through the latest proposals. Although there are some differences between the two bills, both bills overall fail the arts and cultural sector. Here is a preliminary summary of some of the other provisions in addition to the expected reduction in charitable itemizers that we’ve identified impacting artists and the nonprofit sector. On November 16, 2017, the U.S. House voted along party-lines to pass their tax reform bill (H.R. 1) by a vote of 227-205. Overwhelming majority of taxpayers would no longer have access to make tax-deductible charitable contributions. That charitable tax deduction would be limited to the wealthiest 5% of taxpayers. Entertainment, amusement, recreation and membership dues expenses related to a business purpose or meeting would be repealed. In sum, Congress is rushing to pass far-reaching tax reform that would have a very negative impact on charitable giving. The latest analysis of the House bill by the nonpartisan Tax Policy Center estimates that charities, including nonprofit arts organizations, could see a staggering loss of up to $20 billion annually. The resulting loss in charitable giving will cause significant consequences for the health of America’s nonprofit organizations and the communities we serve. The Airport Arts Program is preparing for the future with the development of a new Arts Master Plan. The plan will guide the Arts Program’s vision for public art and arts and culture programs at the airport for the next ten years. The previous master plan was completed in 2006 and provided guidelines and policies for the program’s three core components: Public Art, Performing Arts, and Temporary Exhibitions. Since 2006, the Arts Program has grown both in its permanent art collection and its annual exhibitions. It has also redefined how the airport traveler experiences the airport, with everything from a first-of-its-kind performing arts residency program and live concerts, to educational programs with local schools, and special partnerships with community arts groups to Grammy winners. It is now time to embark on a new arts master planning journey. We would like you to help us plan for the future. You can participate in this planning process by taking the survey that is linked below. It will help us understand your experiences in using the airport and your thoughts about how arts resources can engage travelers in enriching ways, create a welcoming ambiance unique to San Diego, and cultivate cultural partnerships in the region. Applications and artists’ work samples (photos, videos and documents) are viewed online before the panel meeting. Ability and willingness to access the applications and samples online are crucial to preparing for the panel meeting. Each spring, applications to our grant programs are reviewed by a panel of three to five arts and culture experts. Panelists are given approximately one month to independently read and review between 30 to 60 applications through an online grant portal. Panelists are provided with an orientation on the panel process, including instructions on how to rank applications according to program-specific grant guidelines and review criteria. Facilitated by a CAC program staff member, the panel then meets in Sacramento for one to three days to collectively rank the applications. The rankings are brought to the California Arts Council body (Council) meeting to inform funding decisions. A panel representative may be selected to join staff at a Council meeting to present on their perceptions of participating on the panel and the process. For the 2017-2018 grant cycle, panels are scheduled from February through May 2018, located at the California Arts Council office in Sacramento. Selected panelist will be included in a panelist pool to be approved by the Council in November 2017 and January 2018. Panelist will be confirmed by staff to serve on specific grant panels from the approved panel pool for up to two years. Approved panelists may be called upon to serve on one of our grant panels in 2018 or 2019. Those listed on the FY 16-17 panel pool do no need to reapply. To confirm you are on the approved panel pool, click here. Your support is needed: Let Congress know that you want to save the Historic Tax Credit. The Federal Historic Tax Credit (HTC) is under threat of elimination or curtailment during current tax reform discussions. Between 2002-2016, the rehabilitation of 169 historic buildings in California—with $468M in federal credits—spurred $2.8 billion in redevelopment. And, the federal credit pays back more to the Treasury than it costs! For example, an estimated $493M has been paid in federal taxes on these HTC projects. Despite the HTC’s proven record for stimulating economic development, we are deeply concerned that the program will fall victim to the current federal tax reform efforts. Join SOHO, the California Preservation Foundation and the National Trust and send a clear and strong message that the Historic Tax Credit needs to be included within the tax reform proposal. Contact your representative in Congress individually using the links provided below and urge them to co-sponsor the Historic Tax Credit Improvement Act, which will further encourage reuse and rehabilitation of historic resources, maximize the impact of state historic credits, and broaden the eligibility requirement so more historic properties are applicable under this program. Thank you for supporting this important legislation! Republican Congressional leaders released their long-awaited tax reform framework yesterday on Capitol Hill, which could have a negative impact on charitable giving. We know that Arts Action Fund members care deeply about fully preserving the charitable tax deduction incentive since nonprofit arts organizations rely on donations made by individual taxpayers for approximately 25 percent of their budgets. We want to share our statement as well as highlights of our analysis below. We commend the GOP proposal for preserving the charitable tax deduction for those taxpayers who itemize such qualifying expenses as mortgage interest and charitable gifts. However, the GOP plan also proposes to double the standard deduction. This would have the impact of moving taxpayers away from itemizing their deductions. While this change would simplify the average tax return, it would also have a negative impact on the future of charitable giving as whole. It is anticipated that this plan could cause charities to lose up to $13 billion in donations each year. Congress can avoid unintentionally harming charities by including a new “universal charitable tax deduction” provision that could be made available to ALL taxpayers, both itemizers and non-itemizers. With the incentive of a charitable tax deduction given to all taxpayers, it is anticipated that charities could see a $4.8 billion increase in donations per year. Please take two minutes to help us urge Congress to expand charitable giving incentives to all American taxpayers. GOP leaders plan to move a tax package quickly through Congress by the end of this year, using this framework as the starting-point. Help #ProtectGiving. Charities are the bedrock of our society, dedicated to advancing the public good. Earlier in March, the White House proposed to eliminate all funding from the National Endowment for the Arts (NEA) and Humanities (NEH) from the 2018 budget. Just a few days ago, the White House submitted a new proposal to cut funding from the NEA, NEH, and other programs immediately from the current 2017 budget. If the budget from these programs gets cut immediately, it could cause many problems in being able to administer pre-scheduled grants to nonprofit and governmental arts agencies at the local and state level.